Could this be your dream island home? 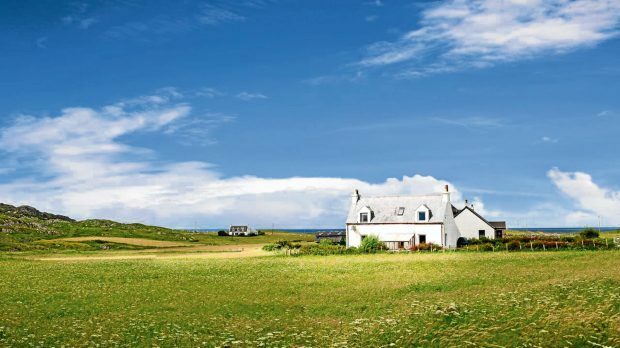 It’s not very often that a property comes up for sale in the heart of the Isle of Iona, and even rarer to find one just waiting for a new owner to put their own stamp on it. 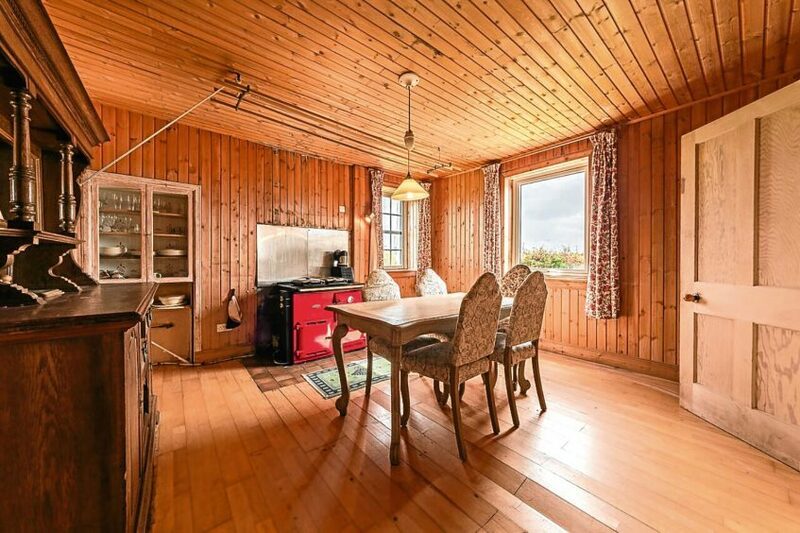 House hunters seeking the serenity of life on an island while living in a home filled with character are being offered this exceptionally rare opportunity with Lagnagiogan. The former croft house is brimming with charming features and also enjoys breathtaking views over the neighbouring countryside and to the Isle of Mull. Set across two floors the property features wood panelled ceilings throughout, with an open fireplace in the sitting room and a decorative stained-glass window, which allows light to flood the staircase. 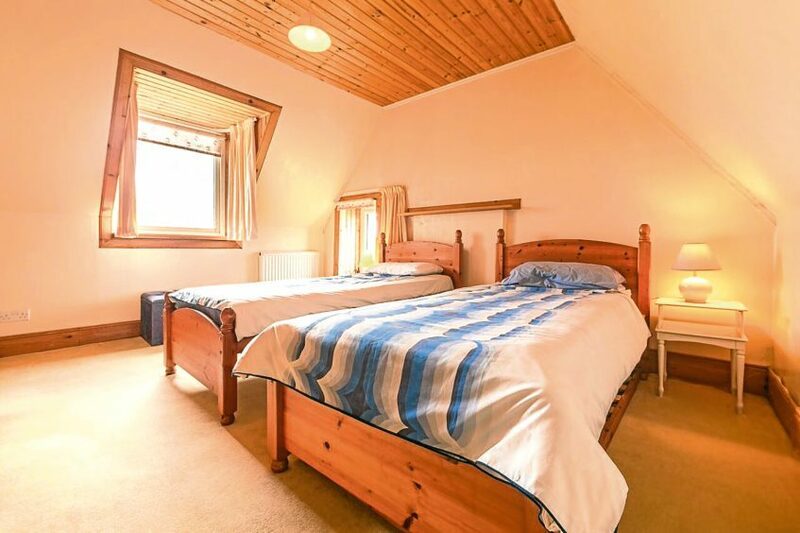 The two-bedroom property is on the market with estate agents Bell Ingram’s Oban office, for sale at offers over £250,000. Brian MacKechnie, of Bell Ingram, said: “Lagnagiogan is the perfect island home filled with charm and presents a great opportunity for a couple or small family looking to enjoy an idyllic rural lifestyle. 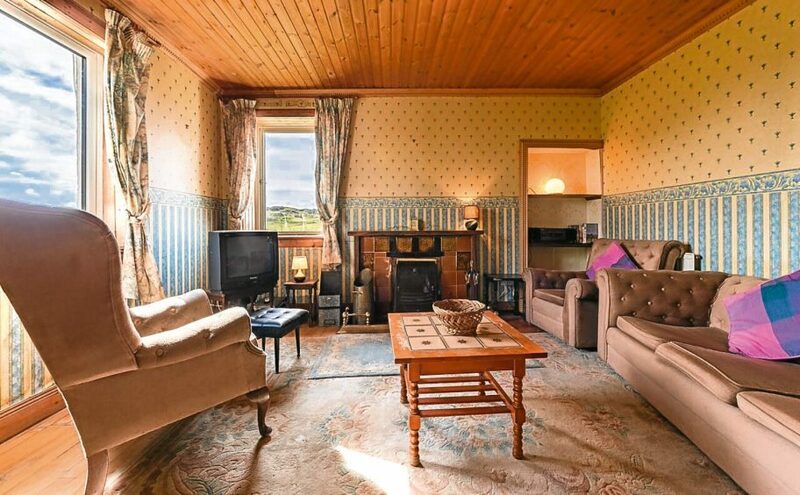 “The property’s interior would benefit from some modernisation but the beauty of the location is undeniable and the opportunity to purchase property on Iona is a rarity. Home to the world famous Iona Abbey, one of the oldest Christian religious centres, the Isle of Iona is full of history with many visitors following in the footsteps of St Columba. Nearby is St Oran’s Chapel and Reilig Odhrain which is reputed to be the burial place of Macbeth and 47 other kings of Scotland. The island, which can be reached via a regular ferry service from the Isle of Mull, is fully equipped with a well-stocked general store as well as a number of other amenities and businesses catering to the needs of locals and tourists alike. For outdoor enthusiasts, Iona boasts first-rate walking opportunities, a variety of wildlife and beautiful, white sandy beaches. Viewings are strictly by appointment only and can be arranged through Bell Ingram’s Oban office on 01631 566 122.